Last week, our company received a verdict on the infringement of the appearance of Dachong redwood furniture from the Guangzhou Intellectual Property Court, which found that the infringer’s compensation amounted to 65,000 yuan. 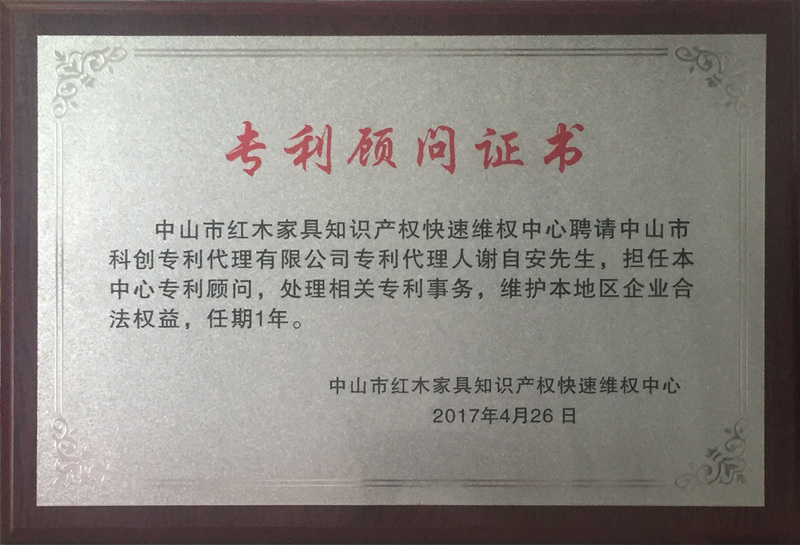 Although the amount of compensation was not very high, it was the first court decision case in Dachong Town, Zhongshan City since it established The Rapid Rights Maintenance Center of Zhongshan Redwood Furniture Intellectual Property Rights, which had a huge impact on the patent infringement party. Dachong Town, Zhongshan City was awarded the title of “China's Redwood Industry Capital” in 2012. Its products account for more than 60% of China’s market share and is the largest redwood furniture production base in China. A number of big brands in Dachong Town are actively engaged in the design and development of products. The design cost of each series of products is often hundreds of thousands of yuan, and the intermediate process must be continuously revised, thus the overall development time takes one year. While some redwood companies mainly rely on fake counterfeiting to maintain the market. Imitating the exterior design of others’ does not require the development cost, thus the infringing products are swarming, and they hold indifferent or even unwilling attitude towards product infringement and compensation. This situation is not only a blow to the original enterprises of redwood furniture, but also causes the phenomenon of "good money expels bad money" in the market. Since our company has been hired as the IP right consultant of The Rapid Rights Maintenance Center of Zhongshan Redwood Furniture Intellectual Property Rights, we have actively maintained the interests of the original enterprise of the redwood furniture and combated the tort enterprises, hoping to gradually form the atmosphere of respect for intellectual property in the industry, and also promote all the people to innovate, forming a good situation in which redwood furniture design is innovative and flourishing.